Further labor market tightening will lead to increased household income and job security. Home price gains on the low end of the market will continue to outpace household income growth. Consumer spending will underpin economic growth in 2016. 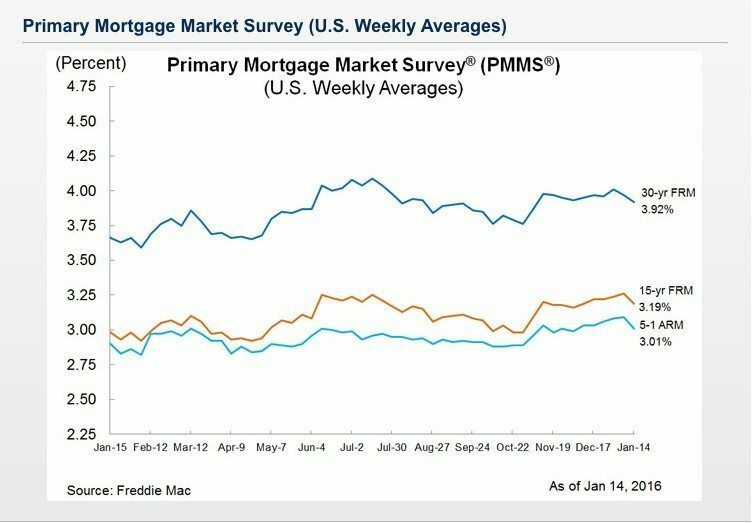 The 30-year fixed-rate mortgage rate averaged 3.92 percent with an average 0.6 point for the week ending January 14, 2016. This was down from last week, when it averaged 3.97 percent. Year-over-year, mortgage rates are up from 3.66 percent. The Market Composite Index for mortgage applications increased 21.3 percent during the week ending January 8, 2016. The Refinance Index increased 24 percent week-over-week. The seasonally adjusted Purchase Index increased 18 percent week-over-week. Appraised values in December were 1.8 percent lower than the homeowners’ opinion. 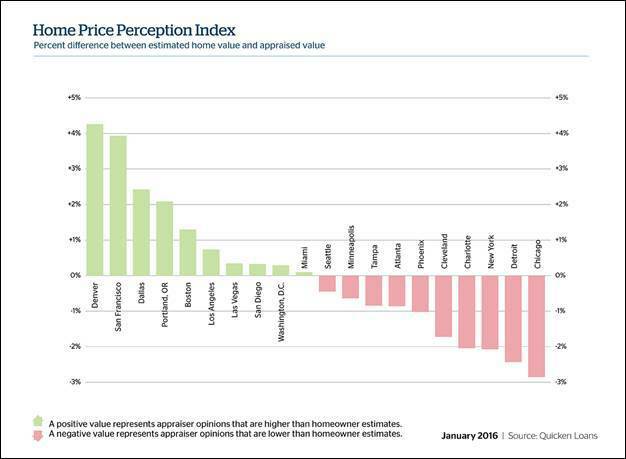 This is the 11th consecutive month when appraised values were lower than homeowners’ expectations. Home values continued to increase in December. NAR Chief Economist Lawrence Yun predicted that the housing market might see a 1 to 3 percent growth in sales. He said home prices would continue to rise in 2016. 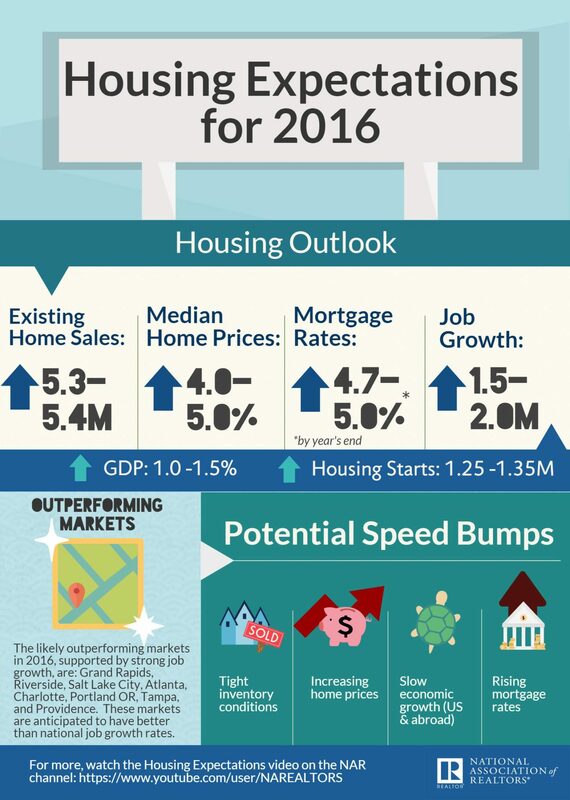 Yun estimated that 2015 existing-home sales would finish 6.5 percent up from 2014. Foreclosures were down 21.8 percent year-over-year. 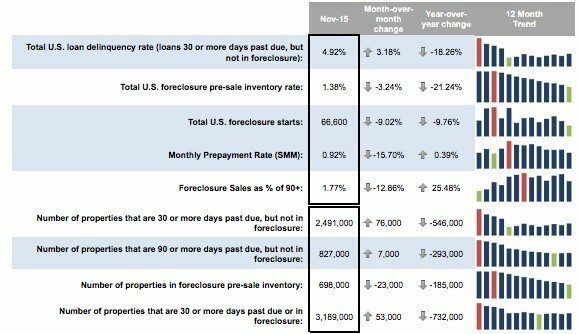 Completed foreclosures were down 10.9 percent month-over-month. Florida leads the nation with 83,000 completed foreclosures. 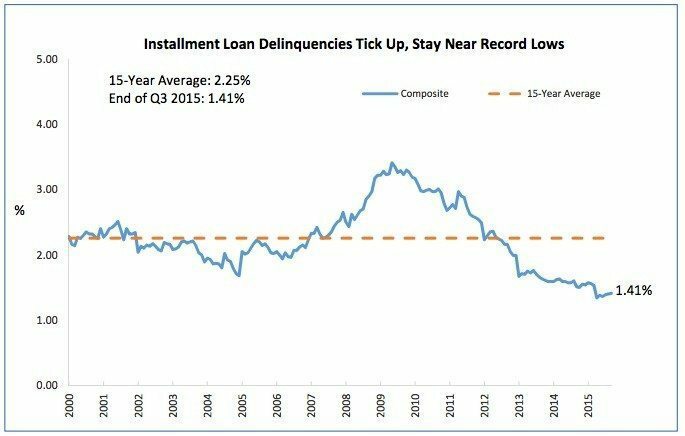 Delinquencies (a late payment 30 or more days overdue) rose in six of 11 loan categories. The composite ratio rose 5 basis points to 1.41 percent of all accounts. Home equity line delinquencies fell 3 basis points to 1.31 percent of all accounts and property improvement delinquencies fell 4 basis points to 0.87 percent of all accounts. 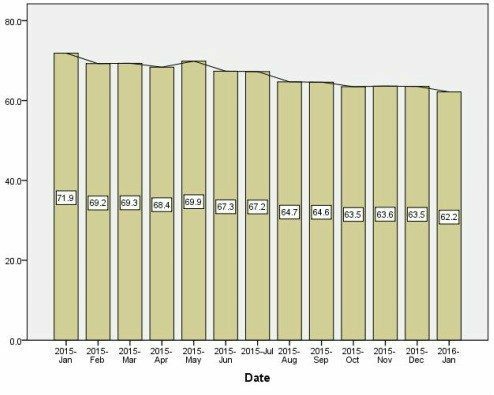 The total delinquency rate was 4.92 percent in November 2015. The total foreclosure rate was 1.38 percent. There were 66,600 foreclosure starts in November 2015. The preliminary January index improved 1.3 points. The January index is 62.2. This is in part due to a robust December jobs report.